Create an awesome embellishment for any card, page or project with the Unicorn Die Set by Concord 9th! 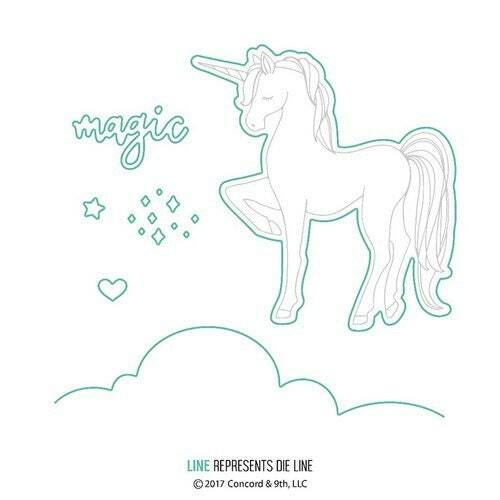 The package contains six thin metal dies that are made in the USA and coordinate with the Unicorn Awesomeness Clear Acrylic Stamp Set con-10230, sold separately. The dies are compatible with most manual die cutting machines also sold separately and measure from .25" x .25" to 2.875" x 3.5".